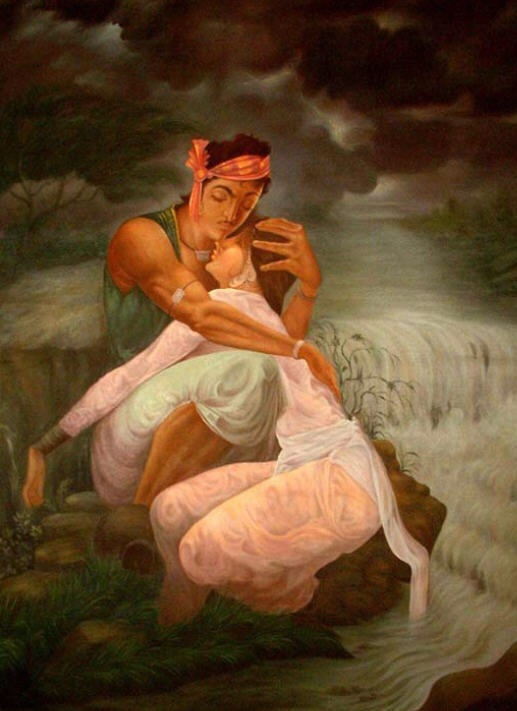 Heer & Ranjha is the most famous true love story of Indian & Pakistani history. Similar to Shakespeare's Romeo and Juliet, it tells a story of two Muslim lovers: Heer Saleti & Dido Ranjah; whose families were in conflict with one another and became seperated for many years. Heer is known to have been an extemely beautiful woman with a wealthy father named Chuchak. Ranjha was the youngest of 4 brothers, all of whom were married except him. In his late teens he set off to find work in a distant village where he met Chuchak who offered him a job taking care of his cattle. Having met Ranjha, Heer became mesmerised by the way he played the flute in the field with the cows every day, and eventually she fell in love with him. For his part, Ranjha fell in love with Heer at first sight. They would meet each other secrectly for many years until they were caught by her parents who found out who Dido Ranjah really was. Her parents were very angry because of the feud between their families. Heer was married against her will to another man, while Ranjha was left broken hearted; and left to walk the quiet villages on his own until he eventually met Gorak, a Yogi (devoted beleiver in God). Having entered Gorak's tilla (shrine), Dido Ranjah could only think of his departed lover. and being emotionally scarred, he voluntarally became a Yogi. Reciting the name of the lord on In his travels around the Punjab, he found the vllage of Kher where he was reunited with his devoted lover, Heer. They both escaped and came back to Heer's home Village, where her parents finally agreed to their marriage and to end the conflict between the two families. The marriage preparartions went well; but on the wedding day, Heer's vengeful uncle, Kedoh (who had a limp from having been beaten by Ranjha's brothers many years earlier), poisoned her so the wedding wouldn't take place. Having heard this news, Dido Ranjah rushed to aid Heer but was too late... and she died in his arms. Dido Ranjah's heart was broken, and he also died, holding his beloved Heer to his chest. 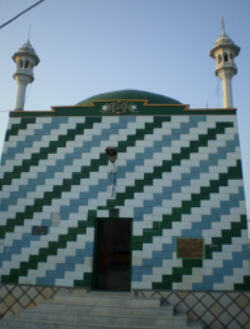 Although there is disagreement whether they were real or legendary, the couple’s star-crossed story has inspired centuries of flowery poetry, and every day, hundreds of lovers pay homage, and seek blessings, at their shrine in the Punjabi town of Jhang, where believers say Heer and Ranjha are buried beneath the blue, white and green-tiled shrine.